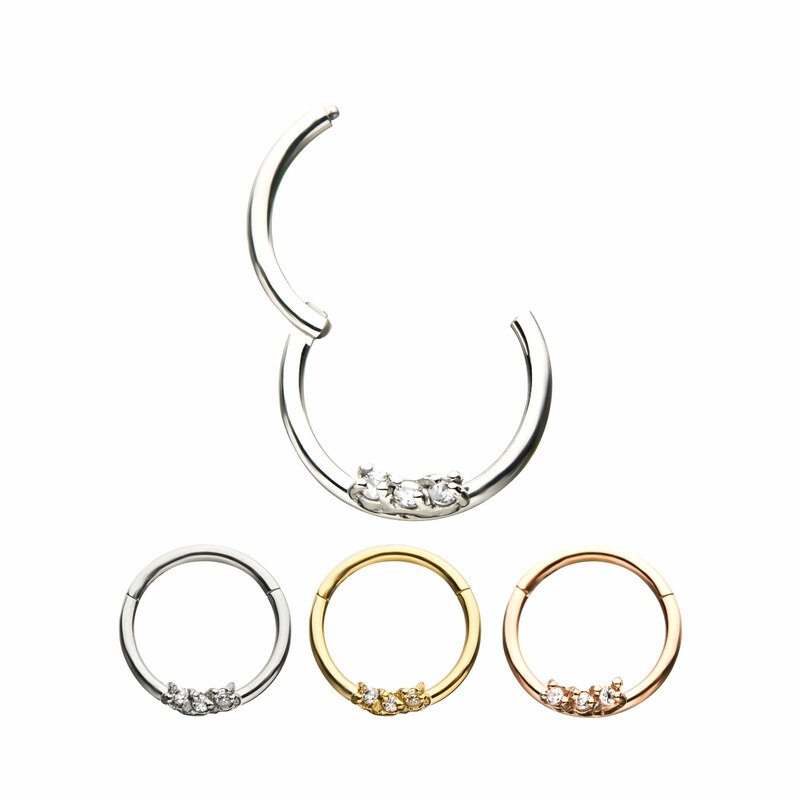 316L Surgical Steel Hinged Segment Rings with 3 Clear Gems. Available in Steel, Gold and Rose Gold PVD Plated. Gauges Available 18g and 16g. Diameter: 5/16" The hinge on this specific design allows the wearer to never lose a small segment piece again and it has that easy snap seamless fit. Perfect for Daith Septum and Cartilage.